Being a single dad requires a lot of courtesy and bravery. It is a saint act of being strong and dealing with all the problems while staying healthy and looking after a child. The reasons of becoming a single dad can be different: either your spouse left you for good, or it can be a terrible family situation or death of one member. Either way, the child needs to feel as if there is no missing part of the puzzle that is called“family”. Single dads are heroes who decide to carry on and not lose faith. As of social reports, only 16.1% of single-parent households today are headed by fathers. Such a difference between men-to-women statistics indirectly indicates that no one is directly involved in the problem of single fathers as everyone usually resigns problems of single women. There are many help centers for single moms, but there are not so many institutions for single dads. No one specifically prepares dads for father's role, even in a full family, and single fathers are even more puzzled and confused when they are left alone. American and European courts rarely make decisions in favor of the fathers when it comes to keeping the child after a long process of divorcing. In society, it is believed that dads are not adapted to raise children and in general - they still will find a woman to help raise the child. However, dating as a single dad is a big problem too. It is not so easy to explain a woman and make her love your child as if it was your mutual offspring. There is an opinion that single fathers evaluate a woman from the side of being "a good mother for the child". This is not quite true. A man is looking for his soul mate first, but, of course, he is considering her in terms of a mother for the child. Single fathers are looking for such women who will be able to love their children and take care of them, who will share all the difficulties of raising a kid and become a real mom for the baby! Of course, there are situations where children brought up by a single father can rebel against a new mom and show their hostile attitude in every possible way. You will have to show wisdom and patience before the situation gets better. Perhaps you may need the help of a family psychologist. 1. Dedicate time and put enough effort. Your child is what really matters now. You have to be strong and invest much in a child who has been left without a mother. Even if you suffer from divorce or loss of a family member, you are an adult, and you are able to cope with your problems. But imagine how your child feels after such a tragedy. Your goal is to substitute him or her a mother and explain the truth of life. 2. Show your own example. You can simultaneously engage in your favorite hobby, build a career or be interested in art. Also, your bad habits might influence your child negatively, because children tend to copy their fathers very often. 3. Skillfully combine the method of approval and punishment. This means that you should not over-indulge your child, but do not be too strict with him or her either. Everything is appropriate if it is moderate. If the child deserves your praise and approval, then be sure to praise, and if he or she needs to be punished (not physically, of course), then be sure to explain the reason of your negative reaction. But be calm and moderate. Don’t do something a child’s mother wouldn’t do. 4. Do not rush to bring a new woman into the household. If a child is not mature enough, then he or she may simply not be ready for the lady he or she has to call mother. Try to consult a psychologist about your baby's readiness for a new person in your family. Don’t rush things. You have to be quiet and kind. If your child feels neglected, the connection will be lost for years. Kids always remember bad things their parents do to them. This includes not being able to choose between the family duty of being a good father and have a splendid and happy private life. 5. Try to hire a nanny or let your mother help out. 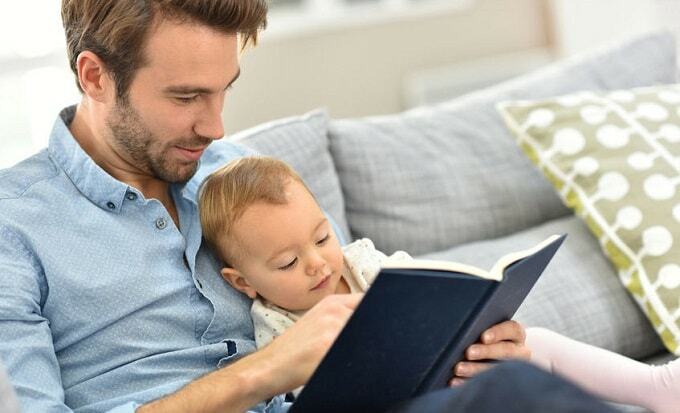 This is very common with single dads who still want to date and develop their career: you can devote yourself to work, relationships or hobbies and provide the child with a full-fledged female upbringing. 6. Educate the kid. 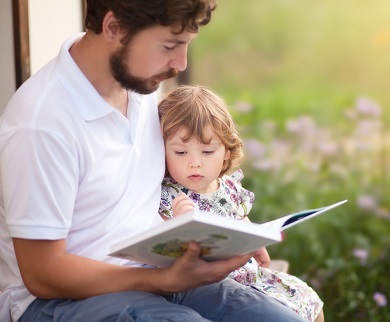 Do not forget that the child really needs new information, so spend a few hours a day reading, playing development games or watching educational films. 7. Stop worrying. Maybe there are not many single fathers in the world, but they are still existent, and they are also coping with the children upbringing, just like women. That's why you should learn to take care of the baby and make up for the lack of female affection, love, and attention. In any way, you can find a way out, so if that the child has only a father, it means that you need to take yourself seriously and start building a new life, where your child will be happy and surrounded by love, attention, and concern. Raising a child is a long, serious and responsible process, so the love of parents who dedicate their lives to their babies deserves a moral payoff and respect. Being a single dad and dating: how does it work? Tips for dating a single dad are easy to be found on the Internet. Even if this topic does not concern you, you still might have come across at least single dad dating site. Those sites and articles teach single men to cope with their problems and create a second chance to build a new happy private life with a new woman, who will be able not only to be a good wife, but also a good mother to a child. First of all, a single dad should understand that he can never take proper care of his children if he does not take care of himself at first. And for this you need to ask for help: call your relatives, hire nannies, or raise your children yourself. And do not be ashamed of it. After all, the most vivid indicator of how much a person is able to cope with depression is his ability to seek help. The best way to cope with such problems is to find a cure for soul scars – this means you should find a woman! All single dads should understand their advantages! There are a number of common features that distinguish single fathers - for example, they are generally more responsible and more restrained. After all, raising a child is a real school of life, when every day you have to learn something new and cope with new difficulties. If you have a child, then you know perfectly well how the attitude to life changes because of the need to take care of your kid. So, of course, independent fathers are different from ordinary men, and, at first glance, this is a huge plus. A single father is more understanding, more tolerant, more responsible, he is more aware of the consequences of his actions. This psychological part includes preparing for the role of a new family leader when a new woman will join your splendid household. Should a single dad date? The answer is ‘yes’! If you feel ready to be emotionally invested into someone besides your child, then dating should be an opportunity to improve your well-being and raise your mood, as long as it does not distract you from raising a kid. Single men dating should be a well-thought decision! One of the dating a single dad problems involves women not wanting to be on the second place. It is true; men will still put their children in favor. So this can create a number of problems. 1. Make it clear for your date. When it comes to money or time, accept the fact that in its priority list she will be in second place. A woman should not be insulted by this state of affairs, and she should not pretend to be a victim. If a woman cannot accept this, then she might want to date a person who is not a single father. 2. Have some time for yourself. Invest some time and money to be happy and successful. Your child might not understand how much you’ve done for him or her, but still it is quite self-explanatory. Every single father should think about himself. This might not be the problem for now. You can imagine yourself free of relationships, especially if the divorce led you to be a single father. But think about the future. Your kid will grow up soon, and you risk to be left with a luggage of problems and ultimate loneliness, so don’t hesitate to go and date now! Single dads can and should create accounts on different social media to arrange some meetings when they have free time. No one can take this opportunity from you, even your beloved child! “Hello, I am glad to join this dating community. I am seeking for a compassionate person who is ready to share happiness and joy with me and my little family”. You should keep it simple and sincere. There is no need to hide or be too forward and pompous with the fact of being a proud single dad. You shouldn’t be too secretive either. If your date asks about your marital status or the age of your kid, it is better to tell everything as it is. You are working for your future and the future of your child. You deserve happiness, and this happiness should be built on sincerity and love. A single father is a man with his own specifics. For example, a child can remember his mother well and even meet with her sometimes. He or she will certainly compare a new person with his mommy. It is not easy to sustain this. But, with the right approach to the situation, it is possible. Children grow up, and their views on life also change. Over time, they will learn to perceive their unique position, and everything will change for the better!